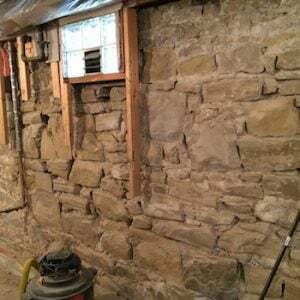 Abalon Foundation Repair is the only Calgary-based foundation repair company that has done historical foundation repairs as outlined by the standards set by the Alberta Heritage Department. We work in conjunction with historical restoration Architects. Abalon Foundation Repair has successfully quoted and executed historical foundation restoration projects that were supervised by government appointed architects. Our crews are trained and experienced in historical restorations. Work is done on time, on budget, and to our customer’s complete satisfaction. Abalon has a team of historical foundation restoration contractors which include, masons, engineers and architects. Our team of historical foundation contractors allows us to properly restore these historical properties to their original state. 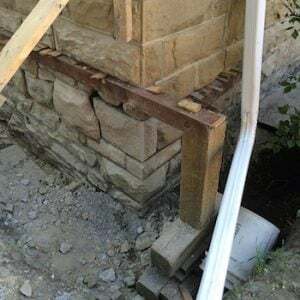 There is an art form to all the masonry stone repairs required to perform these repairs correctly. Abalon Foundation Repair can source quarries from across North America to supply all the required materials. This can be a painstaking process that takes many different contacts and hours. Historical restorations are tricky. A contractor has to be very aware of what is being repaired and the precise methods it takes to complete these repairs correctly. With our team of specialized foundation restoration contractors, Abalon Foundation Repair ensures that the repairs will last another 100 years. My house was built in 1904 and the foundation is built out of stone, can you repair this? Yes, Abalon has been repairing stone walls in the Calgary area for over 30 years. During the Calgary floods of 2013, my stone foundation partially collapsed, can you replace it? Yes, we can source the proper stone and rebuild your foundation wall. Abalon Foundation Repair is the clear choice when it comes to something as delicate as stone foundation repairs. These historical buildings are a prominent link to our past. Abalon understands the importance and value of restoring these heritage structures.